The iPhone-Dev team today released Redsn0w 0.9.6 b5, a carrier unlock and hactivation tool for iPhone 3G and iPhone 3G S with iOS 4.2.1. Redsn0w 0.9.6 b5 is the PwnageTool 4.1.3 alternative for Windows. It can be use to upgrade the modem firmware version in iPhone 3G and iPhone 3 GS from 05.14.02, 05.15.04 or higher to the unlock supported baseband 06.15.00. 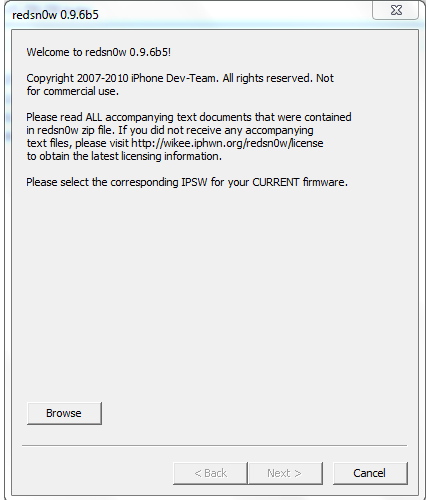 Here we use iPad OS 3.2.2 with Redsn0w 0.9.6 b5 to update the baseband of the iPhone 3G or iPhone 3GS to 06.15.00. After the baseband upgrade, we can use Ultrasn0w 1.2 to unlock the device. How to unlock iOS 4.2.1 on iPhone 3G and 3G S with Redsn0w 0.9.6 b5 for Windows. 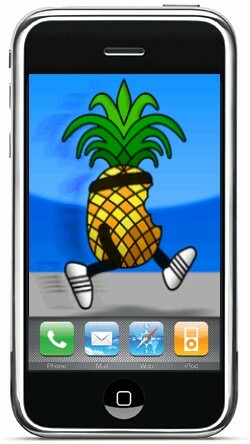 Download the iOS 4.2.1 ipsw file for iPhone 3G or 3G S.
Run Redsn0w 0.9.6 b5 and point it to the downloaded iOS 4.2.1 ipsw file. Windows 7 and Windows Vista users should run Redsn0w 0.9.6 b5 in compatibility mode for Windows XP. In the next step select, install Cydia ( if not jailbroken already) and iPad baseband. Take your iPhone 3G or 3G S to the DFU mode whenever required by the Redsn0w 0.9.6 b5 interface. After this your device will be update to the modem firmware 06.15.00. Please note that this is permanent and irreversible. 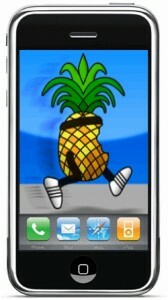 Open Cydia and proceed to unlock with Ultrasn0w 1.2. While flashing with Redsn0w 0.9.6 b5, please make sure that your iPhone is always connected via USB. Update (we recommend this version with bug fixes): Download Redsn0w 0.9.6 b6 compatible with SAM. jailbroke 3G, 4.2.1 with redsn0w but 1/2 my apps(guessing-havnt checked them all) dont work or dont work correctly – just realised my camera dosent work either! The sounds package ,anyring, downloaded thro cydia doesnt work + Terminal wont open so i cant do SSH & connect to pc to change mesg tones myself manually ! as u probly can tell i’m a rookie at this but i’m not thick! , if i need to do something could u make it clear pls so i do not have to search the internet for hrs. I dont want to reset back to apple’s version so pls help. do i need to unlock even tho i dont want to change server(O2) ? if so,i have pc – where can i find this? i had to restore to apple settings via iTunes because hardly anything worked like the calender, choosing a contact when trying to text sum1, not even a simple tally-counter! I did the redsn0w thing. I went through all the steps and installed cydia. But on my phone, cydia is just a blank white icon, when i click it, it does nothing. What do i need to do to fix this? i have the 6.15 and the 4.2.1 and all that. my screen is syuck in waitinf for reboot…. is that normal?? should the reboot be done mannually or whaaaaat??? i dont know how we sufficent. does this work with ipod ?